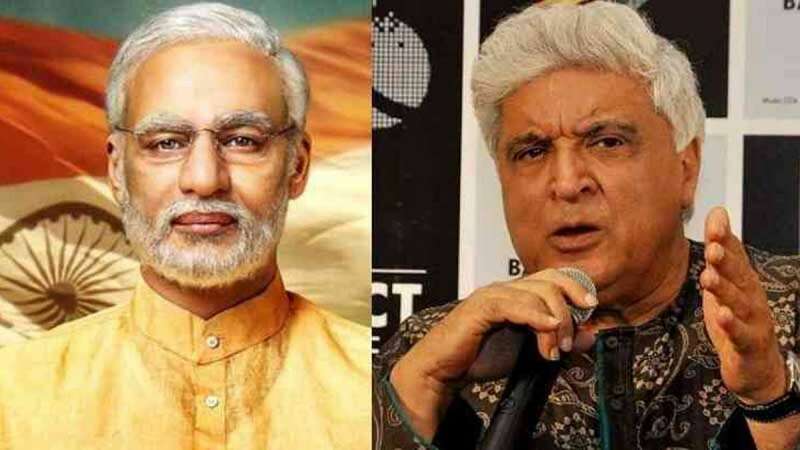 Mumbai : The trailer for biopic on Prime Minister Narendra Modi was released by the makers a couple of days back; it mentioned Javed Akhtar's name as the lyricist. However, Javed Akhtar is shocked to see his name as he says he has not written songs for "PM Narendra Modi". Mr Akhtar's denial has started a storm on social media. Sharing a still from the biopic's trailer that shows the credits, Mr Akhtar said he was "shocked to find his name" there. The screenshot from "PM Narendra Modi" trailer credited Javed Akhtar at the bottom of the poster as a lyricist along with Central Board of Film Certification chief and well-known lyricist Prasoon Joshi, Sameer and others. On Twitter, some people claimed that the lyricist credited could be a different Javed Akhtar while others asked Mr Akhtar to file a defamation suit against the filmmakers. Vivek Oberai plays the lead role in the biopic. The film has been directed by seasoned biopic director Omung Kumar, who also has Sarbjit and Mary Kom to his credit. The film has been slated to release in theatres on April 5.